Clover Stuffing Tool is extremely useful for stuffing small slips in Goldwork and Stumpwork, small p.. Excellent quality Raised Work and Beading Implement Kit contains 5 stainless steel tools for Stumpwo..
Bohins extra long stainless steel tweezers measure 15cm (6") with a fine bent point. 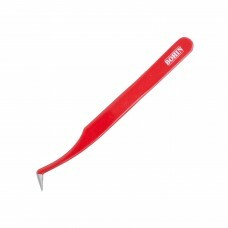 These tweezers ..
Bohin precision tweezers have a very sharp point and are 4.5 inches long. 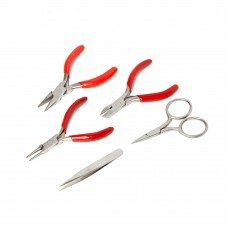 A very useful tool to mani..
Sayco curved point tweezers are an excellent tool for a wide range of embroidery purposes. The tweez.. 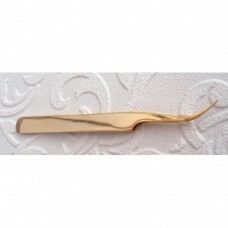 Excellent quality fine curved point watchmakers tweezers. These tweezers are ideal for fine embroide..
Sayco fine point tweezers are an excellent tool for a wide range of embroidery purposes. The tweezer.. 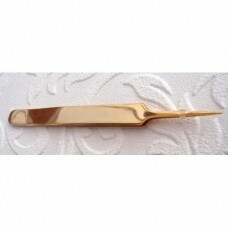 Excellent quality fine straight point watchmakers tweezers. 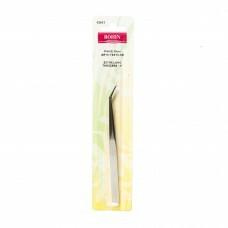 These tweezers are ideal for fine embroi..
Clover tweezers are light -weight with a pointed tip to enable handling with precision. 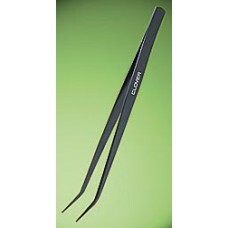 They are ver..
Sayco standard point tweezers are an excellent tool for a wide range of embroidery purposes. The twe..